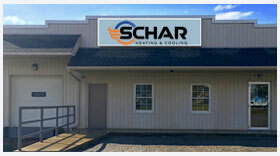 Schar Heating & Cooling, Inc. is proud to serve the Seville community! Please call us today at 330-927-1125 to consult with our home comfort specialist. About Seville, OH - Happy to be your hometown Heating & Air Conditioning Contractor! Named for Seville, Spain, the Seville in Ohio is a small village found in Medina County. Approximately 2,300 people call this northern Ohio community home, and it was originally settled in 1816. Residents enjoy rural-suburban living as well as big-city attractions, as the cities of Cleveland and Akron are just a short drive away. Found within gently rolling farmland, much of the city reflects New England heritage, as exemplified in the community’s road systems and architecture. Despite the small population, there are plenty of things to see and do in Seville. History buffs may enjoy a trip to the Ohio Western Reserve National Cemetery, while visitors with an interest in trains might like to check out the Northern Ohio Railway Museum. Outdoor recreation is especially popular in the area, and the Village of Seville maintains four parks – Cy Hewit, Leohr, Memorial, and Stanhope. The climate in Seville is varied, so residents need to consider their home climate controls wisely. The year begins with a cold and snowy winter, with the area receiving about 48 inches of snow each year. Sleet and rain are also common, which can lead to icing. This is especially true when you consider that temperatures often fall below the freezing point. An energy efficient gas or electric furnace is crucial to keep indoor temperatures comfortable. These systems also prevent expensive plumbing system from freezing, which could lead to some costly repairs. The cold winter months lead to a warm, wet spring, which then makes way into a hot and humid summer season. July is the warmest month of the year, and highs reach well into the 80s. However, many days each season see thermostat readings into the 90s. Most residents will choose an energy efficient central air conditioner to keep indoor temperatures cool, and the right system can even improve indoor air quality.